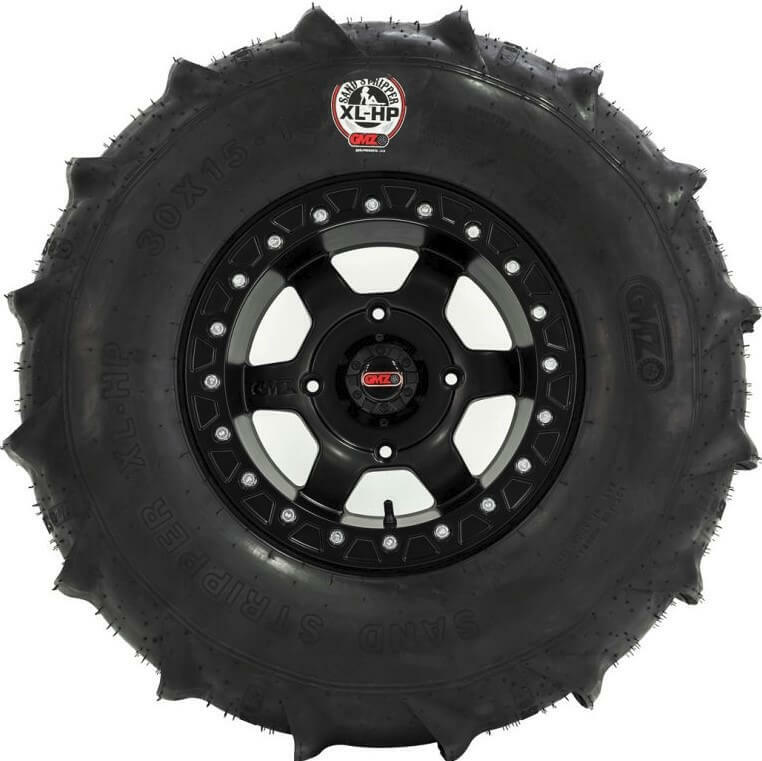 If you enjoy tearing up the dunes but want to push the performance of your UTV to the performance level of a rocket sled on rails on your next outing to the dunes then you need to take a serious look at adding a set of these GMZ Sand Stripper XL Tires. Designed specifically for supreme performance, these ties will help give you that extra traction and control you need to help reach top speeds while staying safe. With large sizes, you can still have a towering machine with great performance. The Sand Stripper XL Tires feature a design that helps the tires float across the dunes while propelling your machine farther and faster. 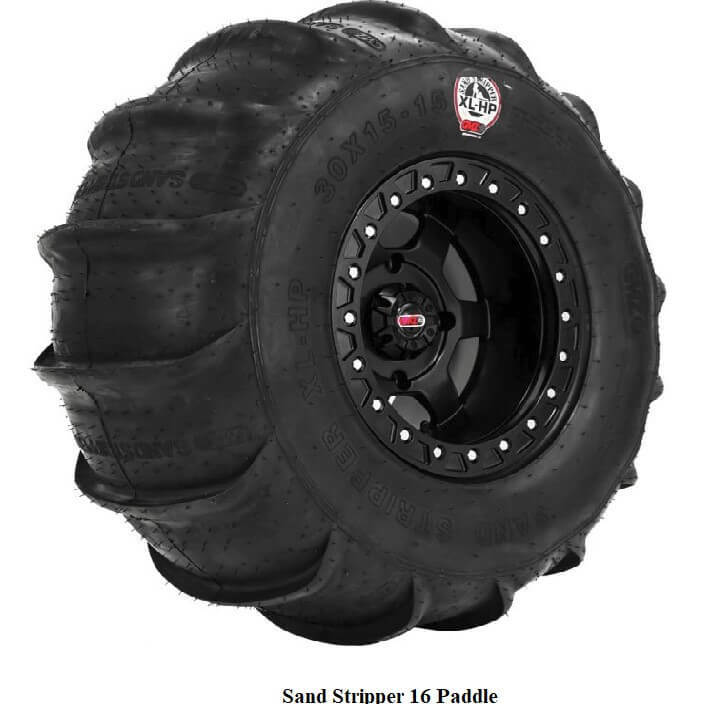 The rear tire features an impressive 7/8� tall ten paddle tread configuration while the front tire has a three rib design for maximum performance on even the softest sand. The size of the tire was optimized for maximum flotation and handling when flying through the dunes. The 6 ply radial construction will help your tires last longer. So if you are looking to boost performance on the dunes take a look GMZ Sand Stripper XL! 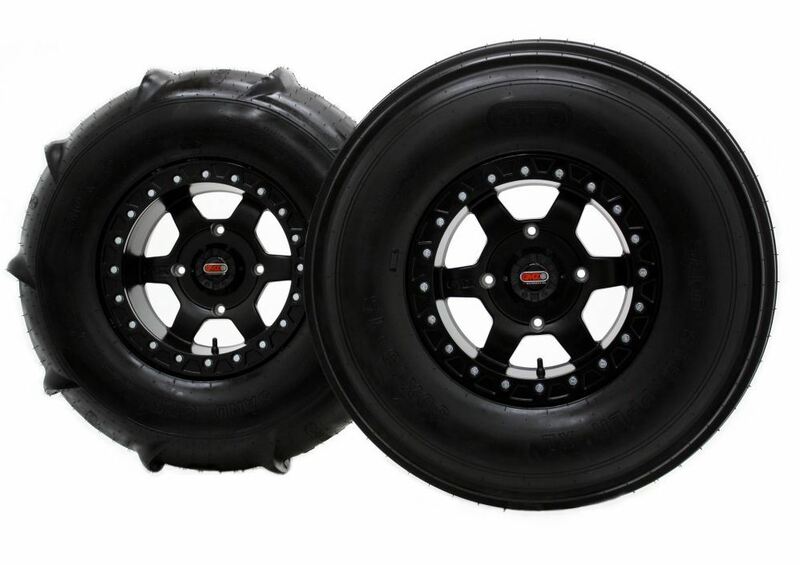 This tire has a three rib design for the best performance on even the softest of sand. The size is designed for excellent flotation and paired with the ribs, excellent turning and traction for the best control. The tire weighs approximately 24 lbs. and has an overall height of 31 inches. 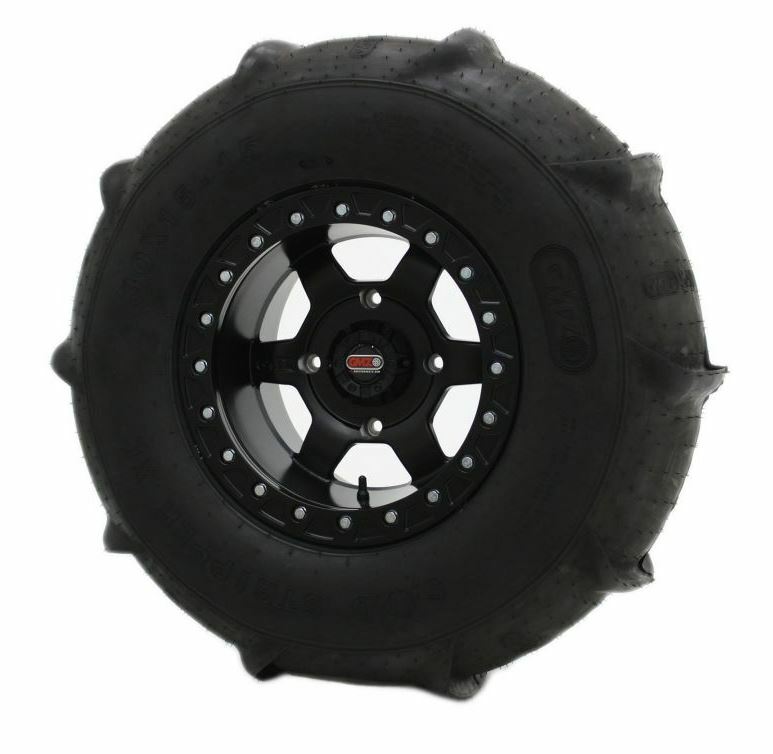 The rear tire features a 7/8" tall, ten paddle design. 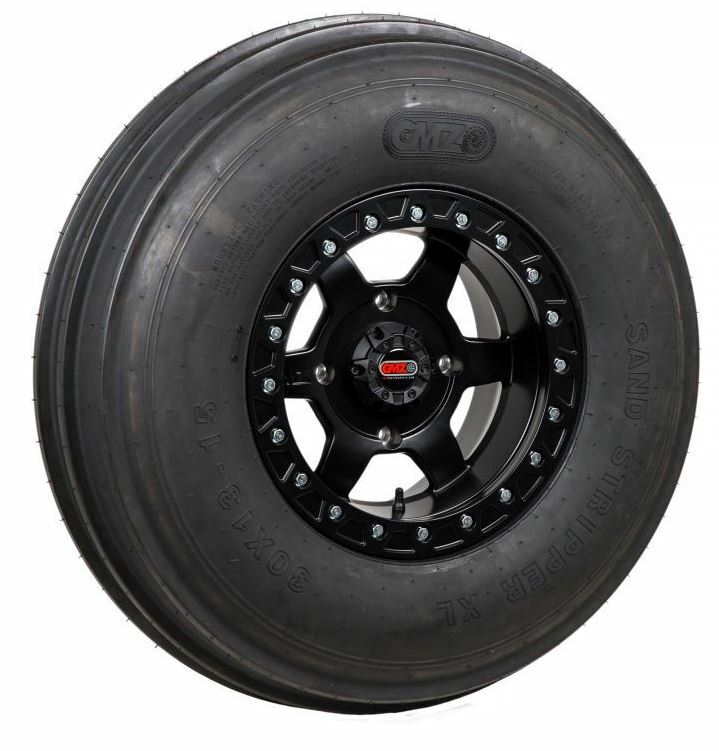 This tire was designed with the heavy, high-powered side x sides on the market today. 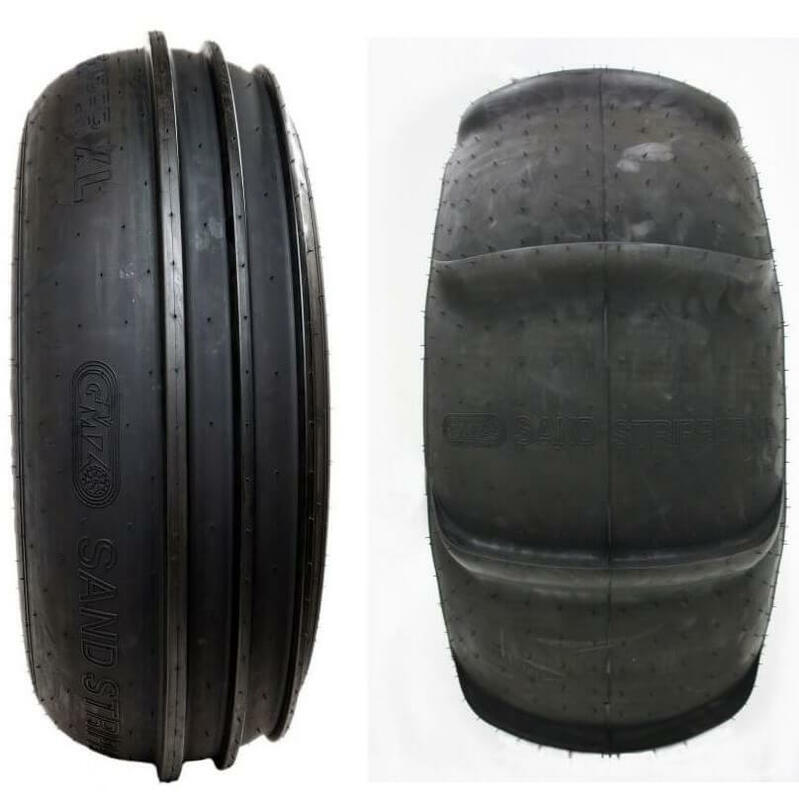 When creating this tire, they strived for the best tire height and paddle ratio for the most traction, flotation and control available, all without adding extra strain on the clutch and belt system. The tire weights approximately 30 lbs. and has an overall height of 32-1/2 inches. The rear tire features a 7/8" tall, sixteen paddle design. 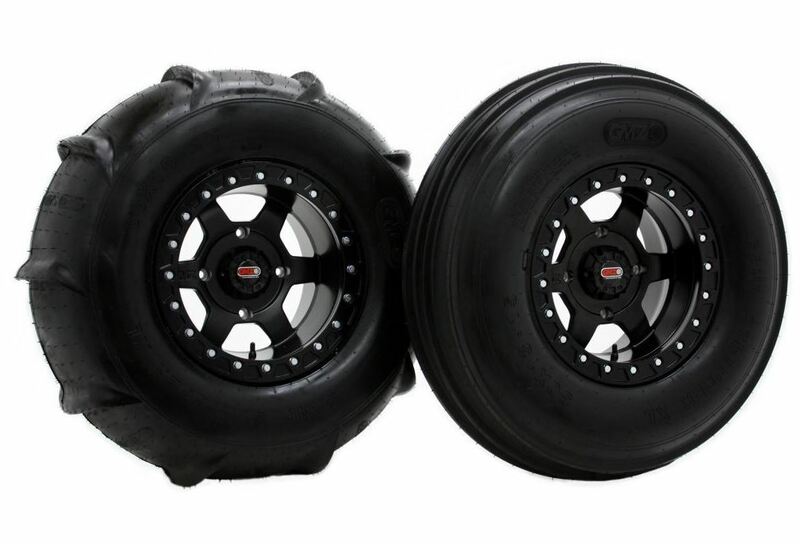 This tire was designed with the heavy, high-powered side x sides on the market today. When creating this tire, they wanted to keep the same design as the original XL, but added six more paddles for more performance and traction.